Vaughn Velocity V7 XF Youth Chest & Arm Pad | Sports Etc. The XF youth sized Velocity V7 arm and chest protector unit features large shoulder area to protect the vulnerable collar bone and shoulder area. Large plastic reinforced sternum plate adds protection in critical impact areas. Sports Etc Performance To Value Rating– 8 out of 10. 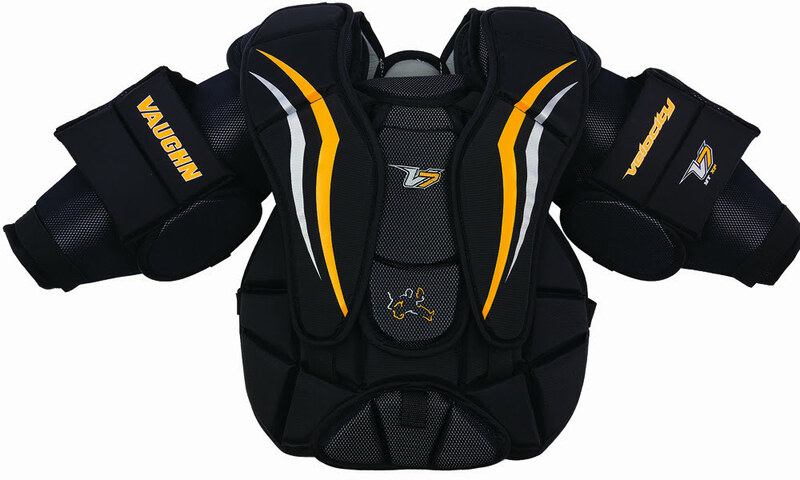 A good chest pad for a beginner goaltender. Lightweight and easy to break-in.